Cutting positions can be fine-tuned with PentaCut. CAMTEK’S PEPS PentaCut is a 5 axis laser programming system developed for the automotive, aerospace and general engineering industries. It is offering an easy to use yet comprehensive programming of multi-axis laser cutting machine tools. The system is based on an industry-standard interface. The cutting toolpaths are generated direct from the imported Solid Model. A typical machining application of cutting outer and inner trims on complex 3D surfaces on 3D Solid Models is done automatically requiring little or no input from the programmer. The dual control interface allows users to manipulate the toolpath either via the mouse or through intuitive dialogue boxes. The system allows the importation of the part geometry or generated from scratch if required. The imported CAD geometry is used as the source for both cut-path programming and process simulation. Users can import surface data in any standard CAD format. The imported geometry is displayed as a fully rendered image or as a simple wireframe. The solid model is presented using a selection of various colours and materials. The traffic light user interface analyses the machine limits and part sizes during the solid simulation and reports the fit (green) or overtravel (red) at the axis position display. Model positioning on the machine is interactive or automatic, allowing to fine tune the position accordingly with the programmer settings. The Auto Head Positioning facility keeps the nozzle normal to the part at all times, with the ability to adjust all settings within machine parameters. As dry-runs take place on the simulator, the user is notified of collisions and other possible problems, with the erroneous part of the cutting path highlighted. The user can edit the cutting path and continue the simulation, thus greatly reducing prototyping time and errors made. The fixture building holding the part is another PentaCut feature. Start by specifying fixture base reference position, base height and extents of fixture plates. Decide on suitable grid spaces and the part geometry PentaCut automatically generates required supports and the sheet layout to be cut on a 2D or 3D axis laser cutting machine. The operator can generate NC/CNC program or save the layout as DXF to be processed for another machine. PentaCut automatically defines the part material selected by the programmer and the piercing and cutting conditions depending on the part's geometry from the pre-defined technology tables. The piercing and cutting conditions can be adjusted by the programmer if required. When the toolpath is checked and proofed, PentaCut generates 100% adapted NC/CNC program in seconds for any 5 axis laser cutting machine tool and any NC/CNC control. 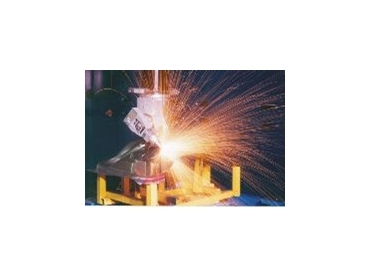 PEPS TubeCut is a laser system for rotary axis machines and is a sister product to PEPS PentaCut. The simple-to-use programming system allows tubes or sections to be parametrically defined from a library of standard shapes or to be defined as free or arbitrary shapes. These are then displayed as rendered solid images into which cutting apertures and profiles can be defined. Users can also import solid CAD data defining the raw material or the finished part. Machining is added by simply selecting an edge or aperture loop, any cutting technology that has been defined and saved is being automatically added. The workspace manager is 'tabbed' graphically displaying the solids defining the tube section, the cutting profiles and the machining cycles that are to be applied. This innovative approach simplifies the program structure and enables simple graphical picking to modify and change any part of the program. TubeCut 'learns' the way a user works, allowing the user to save frequently used sections or shapes and immediate retrieval from a pick list. The complex shapes such as text can be fashioned by the standard vertical walls or wrapped on the tube. This can be applied to holes or any required cutouts. Where a number of small parts can be produced from a common tube section, it is possible to use the PEPS Nesting option. This allows the user to create individual programs for each part (including cutting path), simulate and check the cutting path and save it in a pre-programmed parts library. For the current run the parts of suitable section are selected and the quantity required specified. New parts and quantities are added until PEPS reports that the material length specified is used. As each part is selected, PEPS automatically checks the section of the material and reports if it is a suitable part for the nest. One more member of PEPS Laser cutting suite is PEPSFAB. It is 2D expert system suitable for a wide range of laser/plasma/flame/water jet cutters, turret punch presses and composite machines. Along with standard geometry creation features, the system provides a set of parametrically created typical shapes including various rectangles, obrounds, one and double sided D-shapes, TV-shapes, straight and round slots and 2D conics. New parametric shapes can be easily added. Created geometry can be blended, chamfered, stretched and shrinked, transformed and multiplied. Parametric notches and slots are supported. Part's geometry is automatically bounded into a figure and any changes in any figure's instance are instantly implemented in all instances. 3D component design is a standard feature. It allows a user to easily design and visualise a component by adding required flanges with all required shapes. The bend allowance is calculated automatically. By default, DIN6935 Standard is implemented. Any other methods of bend allowance calculation encompasses different standards and materials and can be easily implemented using PEPS open architecture. After the component has been designed and checked it is automatically unfolded with the single mouse click. PEPSFAB 4.3 provides a fully automated nesting for the current production run from the list of required parts, required quantities and number of available sheets. The parts and sheets database contains parts and sheets in usage. Sheet details include material, thickness and sizes. Special shaped sheets can be registered if required. All layouts can be revised and adjusted if necessary. Approved layouts are submitted to expert for generation of correspondent NC programs. By using PEPS laser cutting suite, not only will programming time be minimal, but also the eventual cut-path will be much more efficient, saving further time on the machine. Add in the comprehensive simulation and proofing tools and you have a system which not only streamlines day to day production, but also reduces costly errors and removes dry-runs. PentaCut pays for itself with each of these feature alone. The software is available through resellers and OEMs worldwide.